We all love games. These days, children can play anytime and anywhere, thanks to the widespread availability of mobile apps and gaming websites. 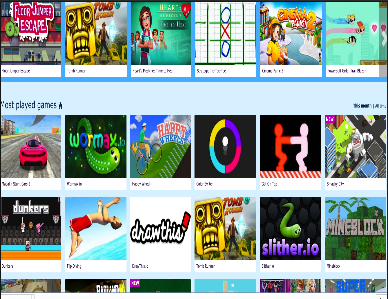 Portals like Poki offer thousands of titles, ranging from all-out action to sports games and puzzles. 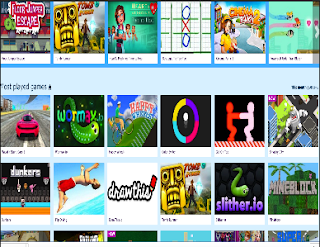 Every game is free to play, and they have a great selection of educational titles. Below, we’ve outlined five games that combine entertainment and learning. Since kids already enjoy playing games, they might as well learn while doing so. Each of the titles below provides fun gameplay with some sort of educational component. Play these games, and your brain will benefit. One of the most popular games of 2016 is still beloved today. Color Switch has all of the ingredients required for mass consumption: it’s addictive, easy to learn, and impossible to master. The more you play Color Switch, the more you’ll want to keep playing. Mixing arcade action with puzzle elements, Color Switch challenges players to think at all times. There’s no button-mashing here; be patient, bounce, and don’t touch anything that doesn’t match your color. “Typing” usually doesn’t make it to everyone’s list of favorite subjects. That’s because up until now, typing tests have been rather stale. ZType seeks to change this, with typing tests wrapped in explosive alien warfare. In this stellar educational game, players control a spaceship armed with unlimited ammunition. Each enemy spacecraft has an attached word. Type the word correctly, and your spaceship will fire with perfect accuracy. Grammar = explosions! Do you remember the Sudoku craze of the early 2000s? Just about everyone played Sudoku with a pencil and paper. Sudoku books flew off the shelves, and puzzles were published in every major newspaper. Today, we can play Sudoku much more easily on computers, tablets, and mobile phones. Super Sudoku allows just that, with plenty of features to boot. There are countless puzzles available in three difficulty levels, a timer, and a way to save individual games. Speaking of crazes from the early 2000s, Who Wants to Be a Millionaire has seen a resurgence in syndicated television. Millionaire Quiz offers a humorous take on the famous show, giving gamers the chance to earn a virtual $1,000,000. In this game, players can choose between questions about music, sports, technology, health, and science. The slick host is no Regis Philbin, but he offers the same lifelines as the original television program. This math-heavy sequel is all about the number 0. In Sum Tracks 2, players must develop their own math equations. But don’t worry, that’s easier than it sounds. For instance, 7-4-3 = 0, which is a winning result. As you advance, the equations get longer and longer. Try adding and subtracting 10 numbers at once, and you’ll see how challenging this game can be!